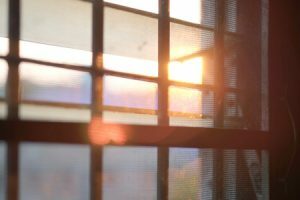 Last year, a team of scientists at Stanford announced that they had developed a new type of window glass that can switch from transparent to opaque in a matter of seconds, eliminating the need for drapes and blinds. Now, just a few months later, the Chemistry department at UC Berkeley has unveiled another exciting window glass innovation that could allow the homes and skyscrapers of the future to generate their own clean energy. This “smart glass” uses a liquid semiconductor to generate electricity when it’s exposed to solar radiation. The glass also takes on an orange tint when it’s heated, offering additional energy savings by keeping building interiors cool on hot days. Yang and his team envision their glass as an ideal clean-energy solution for tall, narrow buildings that don’t have enough roof space to support traditional solar panels. In addition to being remarkably innovative, the glass is also relatively easy to manufacture on a large scale. This could make it a particularly cost-effective solution for developers looking for ways to minimize heating and cooling costs in their buildings. The chemists are currently working to refine their product by making it more energy-efficient and reactive at lower temperatures. Ultimately, they hope to make the glass even more efficient than conventional solar panels. It’s an ambitious goal that could shape the future of window design for generations to come.